The use of airpower in wartime calls to mind the massive bombings of World War II, but airplanes have long been instrumental in small wars as well. Ever since its use by the French to put down rebellious Moroccan tribes in 1913, airpower has been employed to fight in limited but often lengthy small conflicts around the globe. 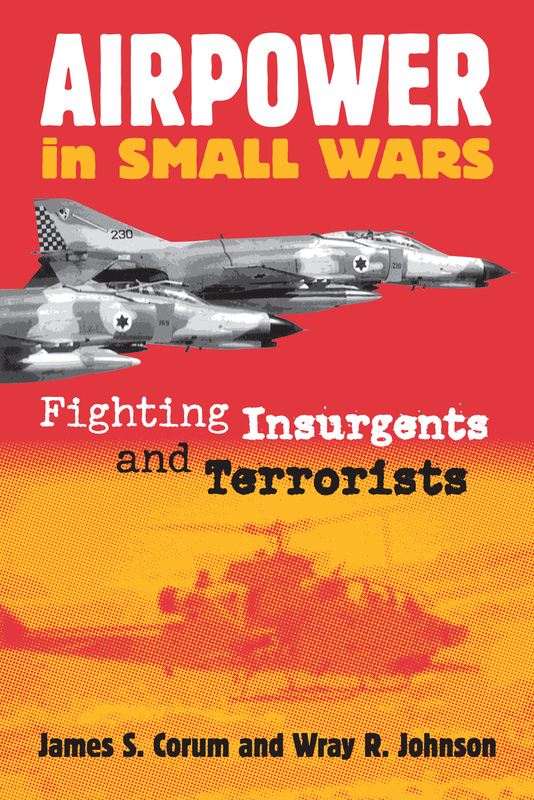 This is the first comprehensive history of airpower in small wars-conflicts pitting states against non-state groups such as insurgents, bandits, factions, and terrorists-tracing it from the early years of the twentieth century to the present day. It examines dozens of conflicts with strikingly different scenarios: the Greek Civil War, the Philippine Anti-Huk campaign, French and British colonial wars, the war in South Vietnam before the American escalation, counterinsurgency in southern Africa, Latin American counterguerrilla operations, and counterinsurgency and counterterrorist campaigns in the Middle East over the last four decades. For each war, the authors describe the strategies employed on both sides of the conflict, the air forces engaged, and the specific airpower tactics employed. They discuss the ground campaigns and provide the political background necessary to understand the air campaigns, and in each case they judge the utility of airpower in its broadest sense. In their historic sweep, they show how forms of airpower evolved from planes to police helicopters, aircraft of the civilian air reserve, and today's unmanned aircraft. They also disclose how small wars after World War II required new strategies, operational solutions, and tactics. By taking this broad view of small-war airpower, the authors are able to make assessments about the most effective and least effective means of employing airpower. They offer specific conclusions ranging from the importance of comprehensive strategy to the need for the United States and its allies to expand small-wars training programs. Airpower in Small Wars will be invaluable for educating military professionals and policy makers in the subject as well as for providing a useful framework for developing more effective doctrine for employing airpower in the conflicts we are most likely to see in the twenty-first century. James S. Corum is a professor of Politics and Contemporary History at the University of Salford, United Kingdom. He is the author of The Luftwaffe: Creating the Operational Air War, 1918-1940 and The Roots of Blitzkrieg. Wray R. Johnson is a retired USAF colonel whose career field was special operations. He taught at the U.S. Air Force School of Advanced Airpower Studies and is currently a professor at Marine Corps University. He is the author of Vietnam and American Doctrine for Small Wars.